It was puzzling enough when the Philadelphia Eagles were desperately trying to trade DeSean Jackson, but when that didn't work out there didn't seem to be any explanation as to why the team outright released the wide receiver on Friday afternoon. Well now we know the reason......Maybe. Apparently DeSean Jackson isn't just a "diva". No, it's much, much worse, if recent revelations prove to be true. It seems that Jackson is going down the same dark road once traveled by jailed former New England Patriots' tight end Aaron Hernandez. That would explain why no other team in the NFL would give the Eagles so much as a mid-round draft pick for a receiver coming off a season where he caught 82 passes for 1,332 yards and 9 touchdowns. Reports are surfacing that the real reason the Eagles were so desperate to rid themselves of Jackson is that he has connections to the Los Angeles gang, the Crips. While there is no hard evidence to suggest that Jackson has ever been involved with any crimes, there is a mounting evidence that his known associates have been. On Dec. 29, 2010, two Crips gang members, Theron Shakir and Marques Binns shot a 14-year-old on a bike for flashing gang signals. While that doesn't directly implicate Jackson, it is interesting to note that Shakir is known as "T-Ron", a rapper signed to Jaccpot Records. 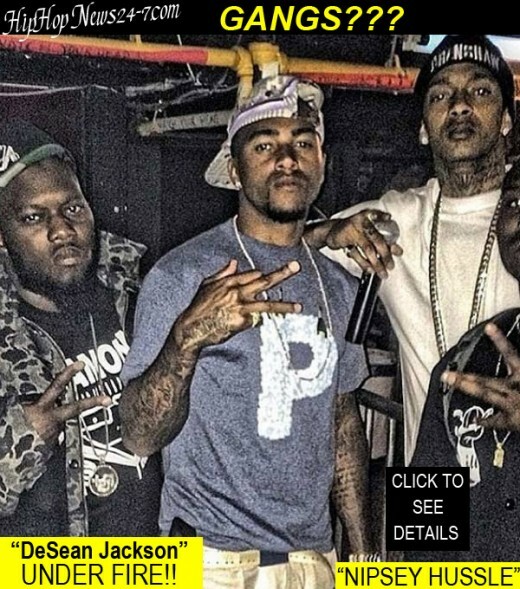 And in case you were not aware, Jaccpot Records is owned by DeSean Jackson. Jackson and Shakir are close enough that Jackson posts frequent pictures of the two on his Instagram account. Jackson was even dumb enough to post a picture of Shakir in jail awaiting trial for the teen's execution and another when Shakir was released from jail. Jackson was there for the release and shown in the picture. No wonder the Eagles were worried about his character. Jackson is not only a punk, but he's also incredibly stupid. Of course, the Eagles were notified that LAPD contacted Jackson regarding the shooting and the team still signed him to that five-year, $48.5 million contract extension. And now the Eagles are refusing to comment on the fact that they were contacted by the LAPD back in 2011. Curious. In 2012, another gang-related shooting occurred outside a party that was being held in a South L.A. building owned by a member of Jackson's family. Several personal documents belonging to Jackson, including a car title, credit card receipts and gun permit, were found in the building, but Jackson was never charged with any wrong-doing. Even though Jackson has never been charged, LAPD detective Eric Crosson pointed out that Jackson routinely flashes gang signs on social media and even during an NFL game. "You don't want to see anybody throw up gang signs like he did in the Redskins game last year," Crosson said. 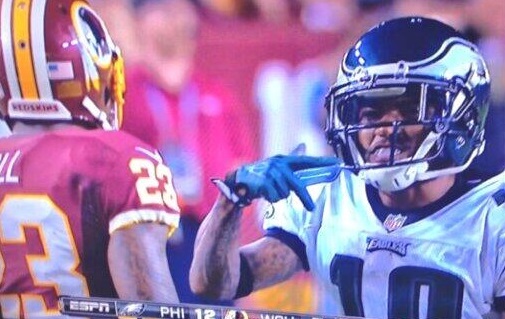 "Those were neighborhood Crip gang signs and he flashed them during a game [in the face of Redskins cornerback DeAngelo Hall]." 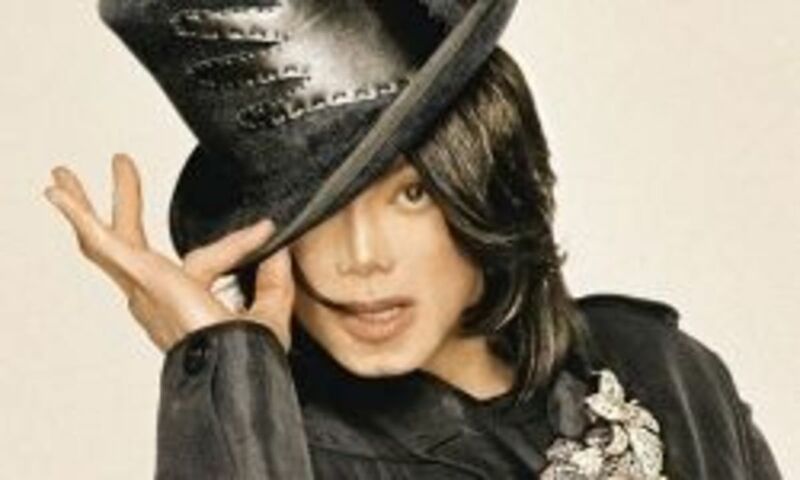 While Jackson has a seemingly clean criminal record, it has been reported that he was actually arrested in September 2009. Jackson's car was pulled over for having illegal tinted windows and, during the traffic stop, marijuana was found in the car. The marijuana charges were dropped and Jackson pleaded guilty only to disturbing the peace as part of a plea deal in April 2010. Another curious piece of evidence occurred when Jackson's house was robbed earlier this year. 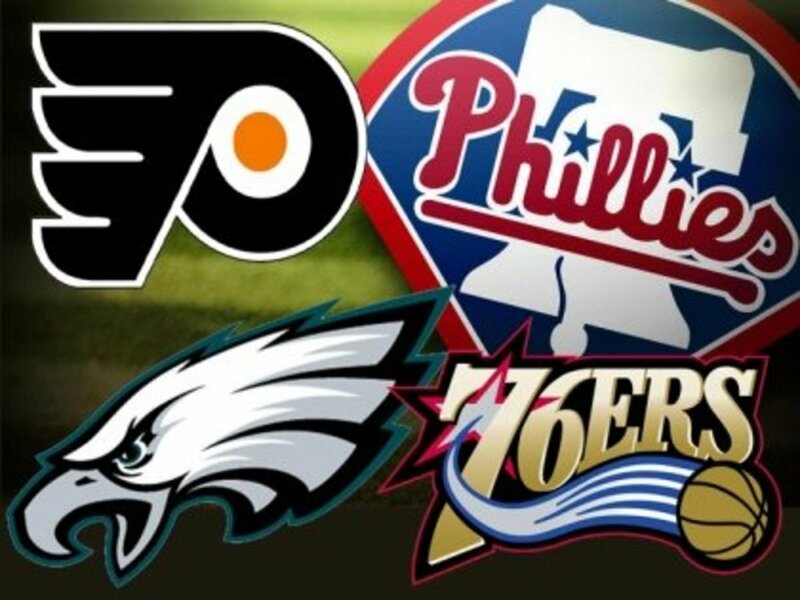 Jackson reported that $250,000 in cash, $125000 in jewelry and two handguns were stolen from his South Philadelphia home. Say what you want about his right to legally own handguns and a ridiculous amount of jewelry, but there is no reasonable explanation as to why Jackson had $250,000 in cash in his house. And the crime appeared to be an inside job from the very beginning, as if someone knew there was that much cash in the house. I know this is all circumstantial evidence, but to quote ex-Eagle Terrell Owens, "If it walks like a duck and quacks like a duck....."
Yes, I'm just kidding about quoting T.O., but there really is no other reasonable explanation why the Eagles released DeSean Jackson. This gang connection would also explain why no other team would offer the Eagles anything in a trade for Jackson. After the whole Hernandez ordeal in New England, the entire NFL is being overly cautious when it comes to anything even remotely gang-related. I'm sure this wasn't the only reason the Eagles released Jackson. By all accounts, he was a terrible teammate. The evidence of that is that not a single one of his current or former teammates would publicly defend Jackson. 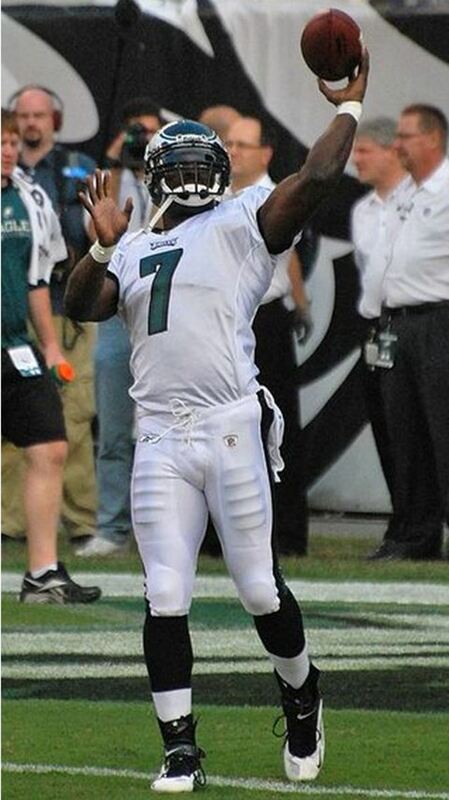 Even Michael Vick said Jackson needed to "mature". 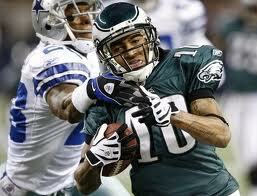 Don't forget, the only reason the Eagles were able to draft Jackson in the second round of the 2008 draft (No. 49 overall) is because there were numerous red flags about Jackson's character coming out of Cal. Apparently, the other 29 teams that passed on him knew what they were doing. Thanks again, Andy. Maybe this was another Chris Carter situation. Remember how former Eagles coach Buddy Ryan released Carter with only the famous quote, "All he does is catch touchdowns." While Ryan got crucified by the media and the fans, it turns out that Carter had a serious drug problem and Ryan released him to try to scare him straight. Carter, himself, thanked Ryan for saving his career and possibly his life. This could be a similar situation. Or maybe Chip Kelly and GM Howie Roseman just don't think Jackson is worth the $12.5 million he is due this season. And maybe they were really ticked off when he said he deserved a raise after last season. Roseman keeps talking about how great this draft is for receivers, so maybe they figure they can easily draft Jackson's replacement for a fraction of the cost. It could be anything or it could be everything. I'm sure the Eagles front office will never admit the real reason why DeSean Jackson was released, but my guess is that it was a combination of many things that led to release of a talented player and an apparently troubled human being.